Modern material flow must not only be fast and precise, but must also be able to be planned holistically. Industrial trucks play a key role in many companies. However, material flow requirements are currently increasing: Cost pressure, larger product portfolios or changed logistical structures influence the change. On the other hand, planners have to take many factors into account when optimizing the process. In addition to the acquisition costs of the vehicles, costs for personnel, energy and maintenance also influence the overall account. In addition, future changes in the company play a role in the redesign of the material flow. 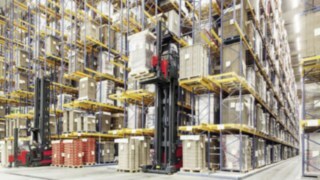 For example, what happens if only four instead of five forklifts are needed for a changed workload? Linde offers a comprehensive consulting service for the holistic analysis of these factors. It ranges from analysis and simulation to the redesign of the fleet. In addition, experts support companies in introducing the new concept. Linde thus helps to optimise the flow of materials in a holistic way. 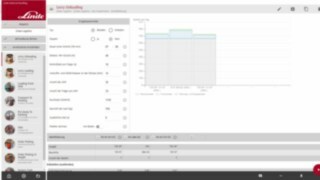 Linde experts analyse all fleet data - from the condition of the vehicles, their capacity utilisation and consumption to their actual use in everyday life. This forms the basis for tailor-made solutions. Depending on their objectives, they increase capacity utilization, reduce downtimes, reduce fuel and energy costs as well as pollutant emissions and improve safety. This benefits the entire company. 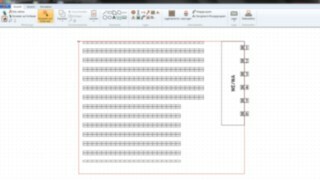 The analysis of the internal logistics and fleet structure is at the beginning. Our experts consider the condition of the vehicles as well as energy consumption, utilisation, application and service costs. 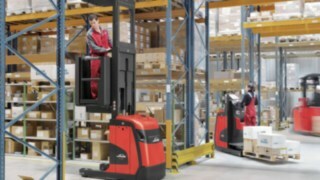 For this purpose, a TÜV-certified performance test for forklift trucks and warehouse technology is available. Planning and simulation software from Linde makes optimization potential visible. This makes it easier to redesign the storage rooms and fleet with precision. The new fleet concept ensures that you always have the right vehicle with the right driver in the right place at the right time. Many parameters such as personnel, vehicle fleet, distances and shelf functionality flow into the result. Our experts accompany the introduction of the concept. They examine the processes at regular intervals and adjust them as required. The review also responds to economic and seasonal changes as well as individual company developments. Which vehicle type generates the lowest costs during the material flow - for example, when unloading trucks, storing goods on the shelf or picking from the floor? 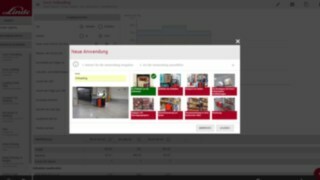 The "Fleet Plan" software, which is used during consulting by Linde experts, provides precise answers to this question. To this end, the program simulates the customer's situation with just a few entries on the computer and then calculates the operating costs for each vehicle, including driver costs, energy consumption, investment costs and other factors. In addition,"Fleet Plan" makes it clear how many vehicles are required for the overall process and what the total costs are. 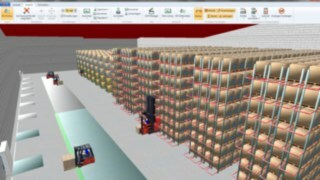 To ensure that the processes in a new warehouse run smoothly from the outset - without bottlenecks and overcapacities - experts from Linde rely on comprehensive 2D and 3D simulations during the planning phase: The CAD drawings of the planned bearing can be imported or reconstructed with the "Stratos" software. Walls, shelves, conveyor belts and components can then be changed or new elements can be planned. 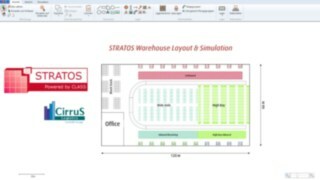 The result is a "virtually walkable" model with all warehouse movements - perfectly simulated in every detail. On this basis, the experts determine, among other things, how many forklifts, employees, shifts or truck ramps are required to establish a perfect material flow. You want to optimise the complex material flows of your industrial trucks holistically? Benefit from Linde's comprehensive know-how and experience.